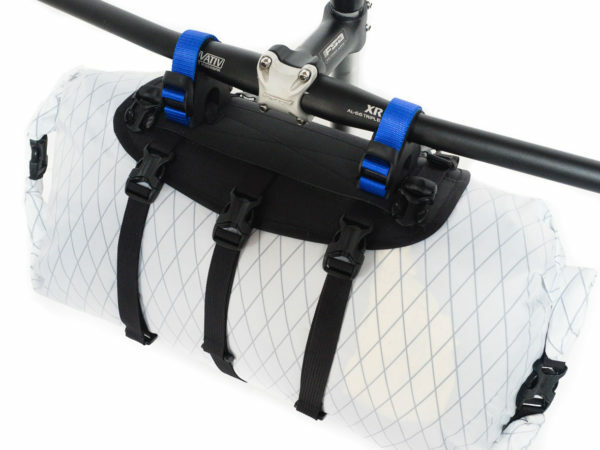 Our front harness allows you to mount a 10-20L dry bag or other cylindrical shaped load below the handlebar, and is great for stashing bulky gear like sleeping bags, sleeping pads and tents. 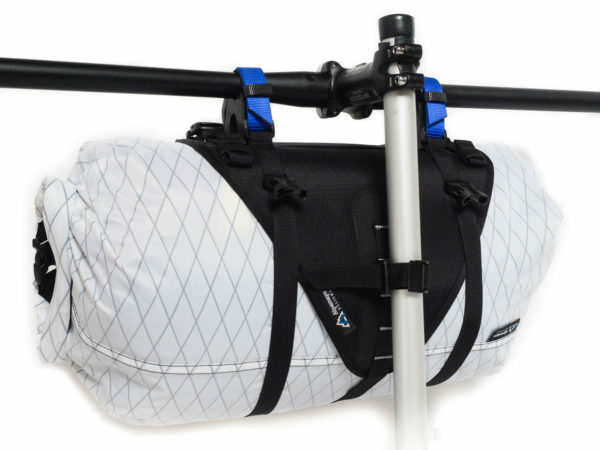 This versatility, large capacity and ability to pack/unpack away from the bike makes it a must have for on any multi-day bike adventure. 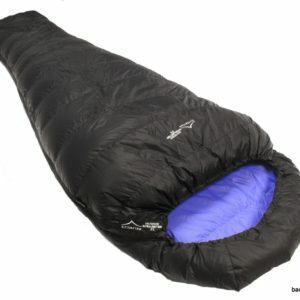 Bombproof Construction. 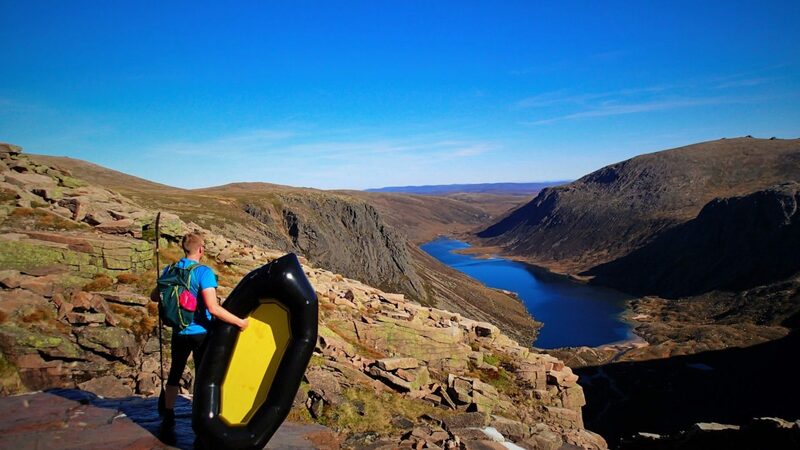 We use a 4-layer laminate to provide rigidity and durability, with: XPac VX21 outer fabric; HDPE plastic sheet, a lightweight foam insert and Cordura 500d inner fabric. Hypalon reinforcement is also used for possible contact areas; along the handlebar and head tube zones. 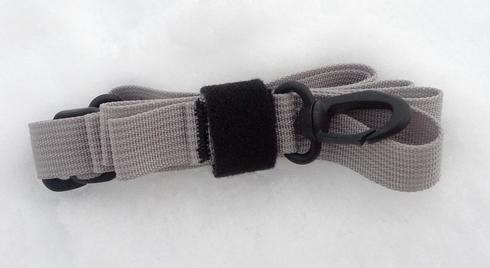 Duraflex buckles used throughout. Optimised Geometry. A tapered design is used to ensure that there’s support where it’s required, but any ‘extra fat’ is trimmed off to save weight. Rock Solid Attachment System. 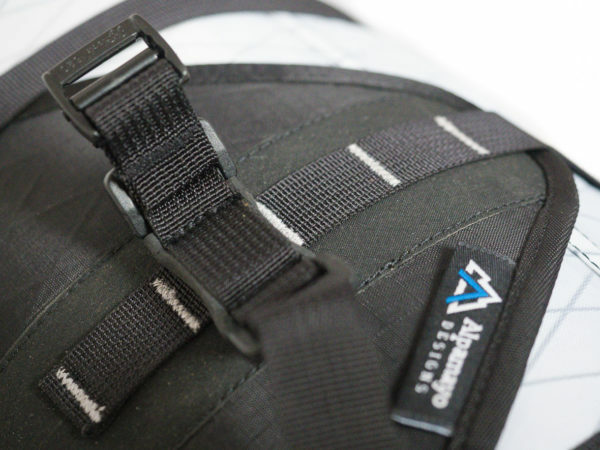 The harness attaches securely to the bars via custom made plastic blocks using a dual attachment system; first it’s secured using Velcro straps and then with webbing straps passed through Duraflex TensionLock®buckles. 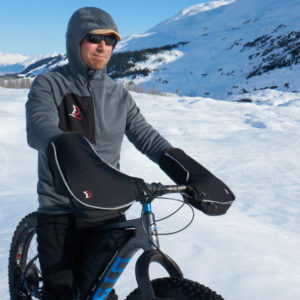 Combined with the head tube connection strap, it achieves bombproof stability with no loosening off (even after the most demanding of Andean singletrack descents…!). Riser Bars? No Problem. 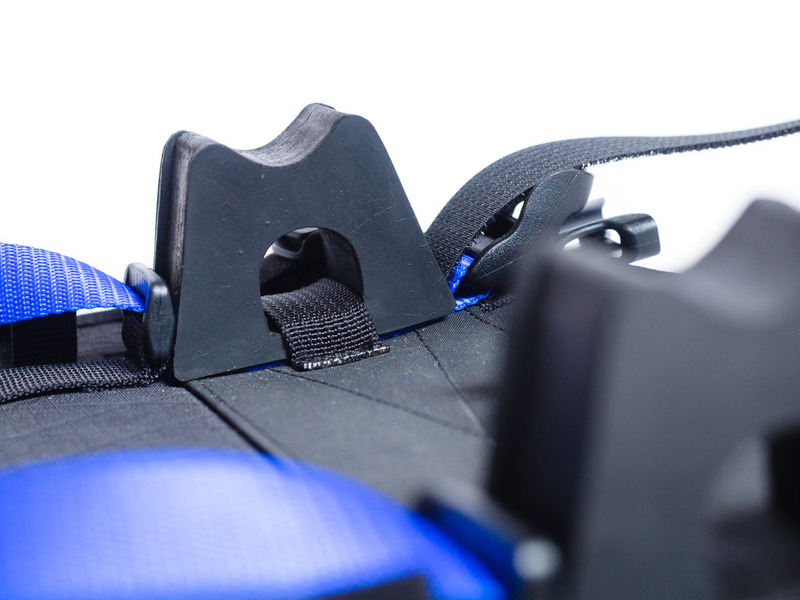 The plastic blocks are also designed to allow the curved profile of riser bars to be easily accommodated, without bending the harness. 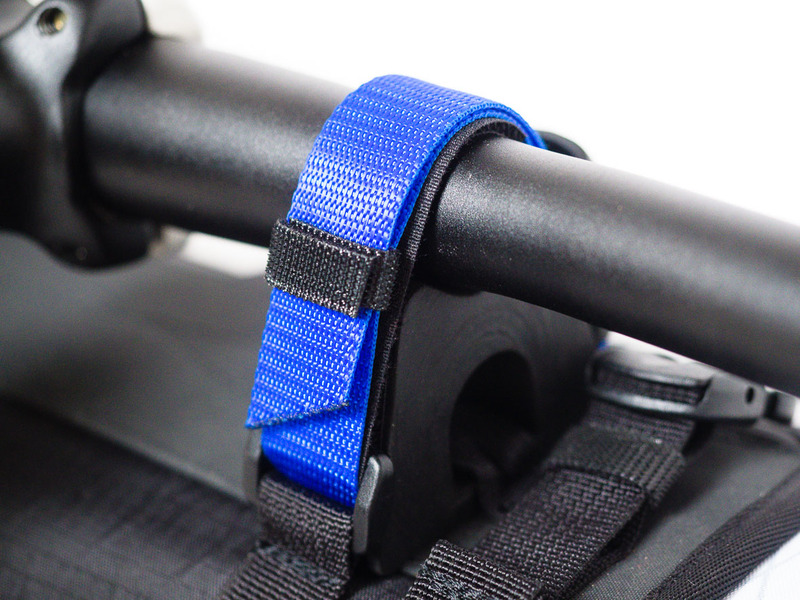 The blocks feature channels, allowing the Velcro connection straps to grip tight and ensure that everything remains locked together, even for bars with a high rise angle. Head Tube Protector. 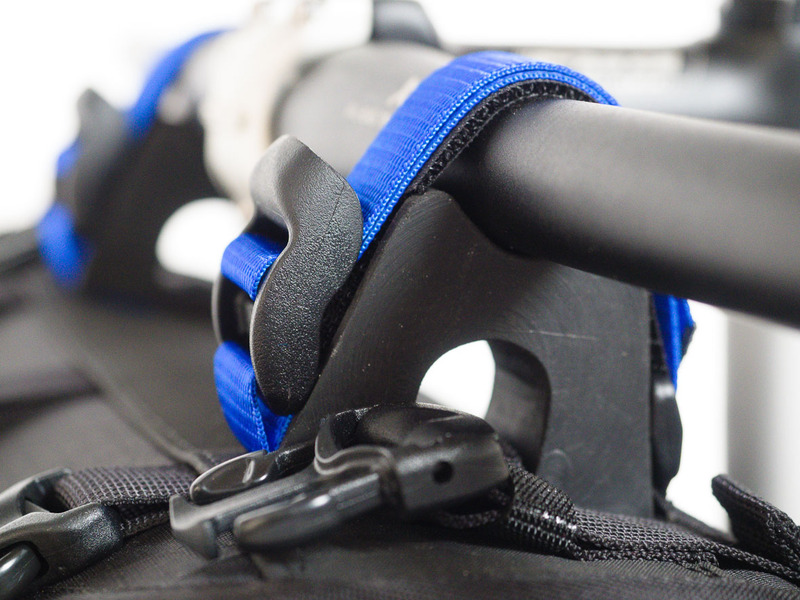 A dense closed cell foam block is incorporated into the head tube connection strap to alleviate harness rub against paintwork/cables. Integrated Front Accessory Bag Straps. 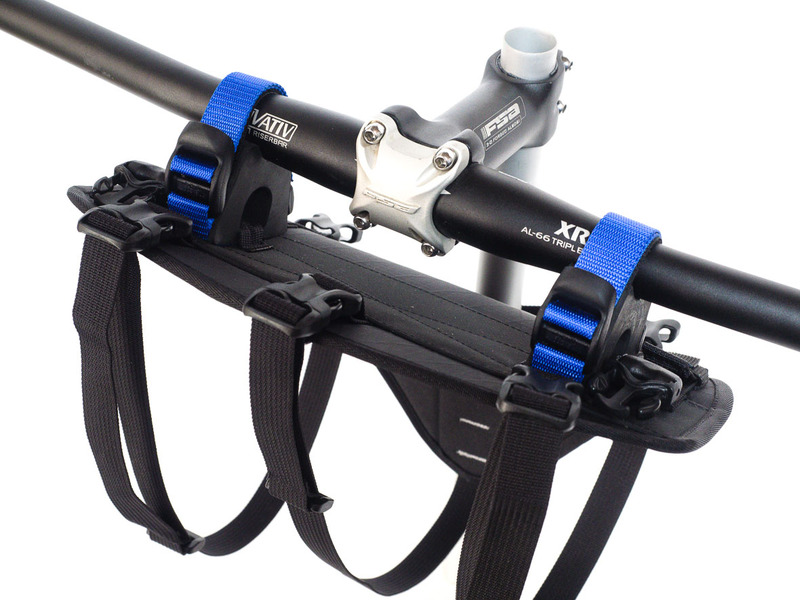 The Front Accessory Bag can attach directly into the harness. The top connection straps are adjustable and feature Duraflex CamLok buckles, with Velcro Onewrap ‘strap keepers’ to stow the excess strap when not in use. It is NOT compatible with cantilever or road style front brakes with a vertical exposed cable.